I tow motorcycles a lot, and in the world of motorcycle towing in Toronto, there’s good, bad, and ugly. I’d say 20% of us are good. We not only take pride in our work, but genuinely want to bring value to the lives of our customers. Those are the motorcycle towing providers you want to hire. 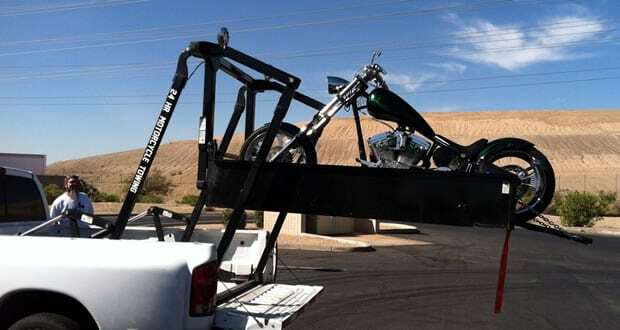 Unfortunately, 80% of motorcycle towing providers are the bad and the ugly. They bad are the untrained, the reckless, and the ignorant. The ones who will damage your motorcycle. Last are the ugly, the ones who can tow your motorcycle, and tow it well, but at outrageous rates. I’ve seen providers of motorcycle towing in Toronto using only two straps to tie down a motorcycle instead of four. I’ve seen them running metal hooks on metal motorcycle parts, scratching their customer’s bikes. I’ve seen them demonstrate zero understanding of the components of a motorcycle, and bending fork tubes. The good news is, it’s easy to tell a good motorcycle towing provider from a bad one, even before they pick up your bike. 1) They’re a little too available. “Easy come, easy go.” The motorcycle community is tight-knit, especially in Toronto, and we rely on one-another for word of mouth recommendations. Hard workers are hard to come by, so if it’s the busiest time of year, and your towing provider’s calendar is wide-open, alarms should be ringing in your head. 2) Your motorcycle isn’t their priority. A motorcycle towing provider should ask as many questions as you ask him, or more, and should be showing signs of enthusiasm at towing your bike. If this isn’t happening, your business isn’t a priority, and that will be reflected in how your motorcycle will be treated. Avoid motorcycle towing companies who don’t prioritize you. No online reviews? No pictures showcasing the bikes they’ve towed? No reputation in the community? Just say No Way, and stay away. The motorcycle season, especially here in Ontario, Canada, is way too short to waste over a damaged bike because of a motorcycle tow mistake. 4) They want payment up front. 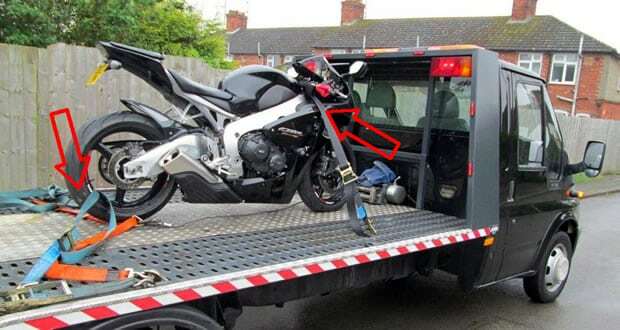 I’ve heard cases where motorcyclists are being asked to pay up front for a motorcycle tow. The professionals offering top quality service don’t need to be paid up front. They don’t live week to week. They just need to be paid in full when the job is done. If you’re exceptionally happy, feel free to add a tip, but it isn’t expected. 5) They budge on price. A professional won’t budge on the price. Motorcycle Towing Toronto doesn’t negotiate price. A professional company will knows their rates, know their variables, and know their city, including traffic times and areas. A good service provider knows exactly what a job costs, but a bad one will let you haggle on price. Towing in the back of a pick up truck? Using automotive straps and equipment rather than motorcycle-specific ones? Can’t mention a handful of special motorcycle-specific precautions? If you answered Yes to any of these questions, stay away. They haven’t learned important lessons yet. Don’t let your bike be the one that teaches them. providers who would love to make a few bucks scratching up your motorcycle for you. 2. 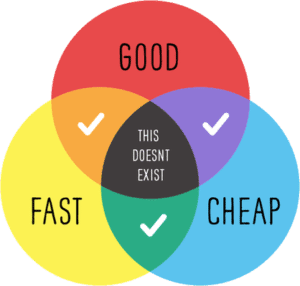 Fast and Good, but Not Cheap – If you need immediate service, like in the case of an emergency, you probably don’t mind paying twice as much. For times like these, there are companies like Moto Limo and regular tow truck companies that will charge you an arm and a leg, but arrive promptly. 3. Good and Cheap, but Not Fast – If you’re not in an emergency, and can stand to wait a day or two to get your motorcycle towed, reach out to an industry expert who works by appointment only. 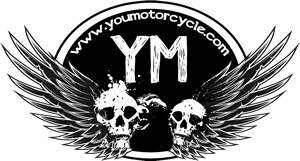 If you’re in the Toronto area, check out Motorcycle Towing Toronto, or send me an email. In my opinion, if you’re in an emergency, pay double and get a reputable business that’ll charge you twice as much. But if you aren’t in an emergency, work with an industry expert like me, or reach out to Motorcycle Towing Toronto. You’ll probably save $50 to $100 for tows in and around Toronto versus what the expensive guys charge. The wait is worth it, and sometimes there’s no wait at all. most tow companies won’t carry motorcycle specific equipment. not enough volume to justify the cost on thin margins. Definitely. That’s why a motorcycle-specific towing company is so good to have. right, but you’re gonna pay out the nose, like 2-3x what a normal towing company will charge. if there’s even one in the area. most likely your only option is a rollbcak by a normal towing provider. that said, a bit of training goes a long way, and a 4 point righ and not going metal to paint/chrome should be a no brainer, even for cars. That’s a generalization though. I probably should have mentioned it, but Motorcycle Towing Toronto’s base rate is $50, which is about half that of local (car) tow companies. It’s primarily by appointment only. Which goes back to the diagram. You can have it done well and done cheap, it just may not be done right away. For those who aren’t in need of roadside emergency service, but instead are scheduling purchasing a new bike, or bringing a bike from home to the shop, that often works out just fine.